Growing up, my German grandmother Olga swore by Contac paper. She used it for everything: meticulously covering shoeboxes to repurpose them for storage, on the inside of cabinet doors and drawers, around tin cans to use as pencil holders, as labels, and a few I’m sure I’ve forgotten about. And, if something was getting close to needing a coat of paint, it got the Contac treatment. I’ve recently rediscovered the versatility of this inexpensive and easy-to-work-with material. Here are a few fast and fun transformations inspired by Olga’s creative utilitarianism. Wall Decals: This flock of birds is so easy to make, and any outline shape can be used. 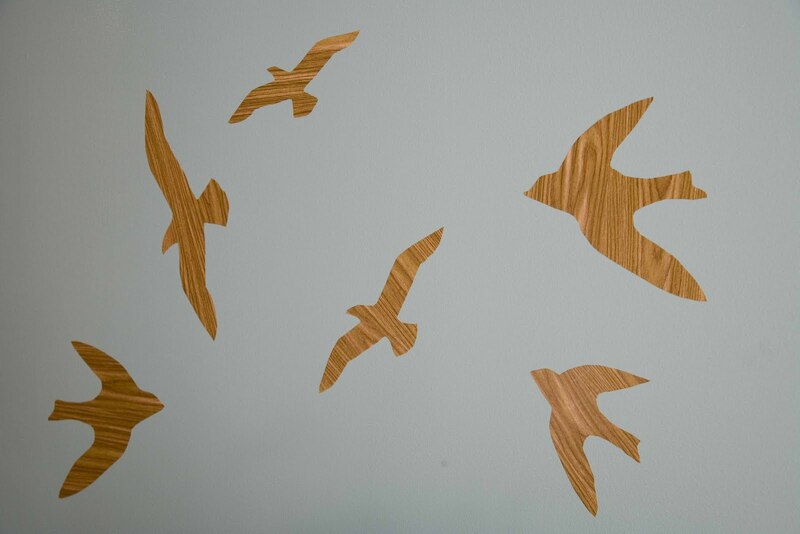 I used two shapes and created them in two different sizes to make the ‘flock’ look more random. Best of all, these decorations don’t damage walls and are easily removed. 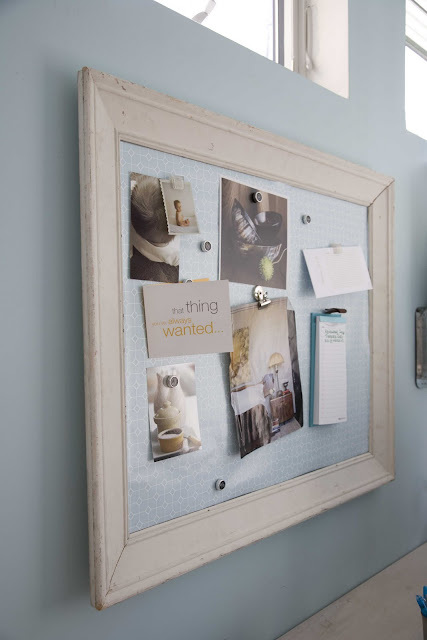 Magnetic board: You can make a magnetic board by having a piece of sheet-metal (available at home stores) cut to size and fitted to a picture frame. Before mounting the metal in the frame cover it with the pattern of your choice. 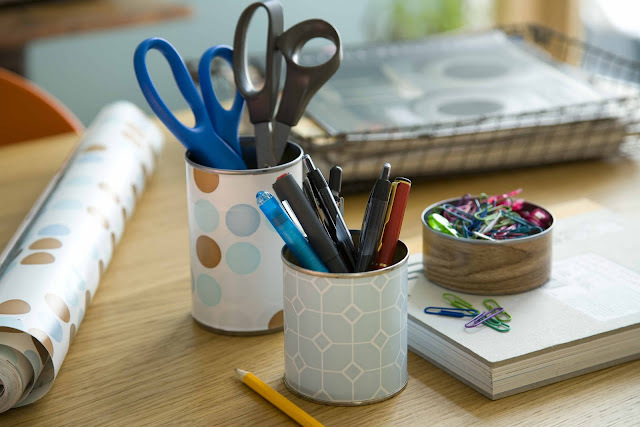 Storage tins: In addition to holding pens, scissors, and paper clips, these make great organizers for your medicine cabinet or craft area. Pretty temporary labels (for picnic containers, pot luck suppers): Cut with scallop scissors and use for everything from seasonal items to picnics. Bookcase: Dress up a bookcase by applying the paper to the back wall behind the shelves – a quick and changeable alternative to painting. I also use it as a low-tack tape for containers that need a little extra help staying closed. 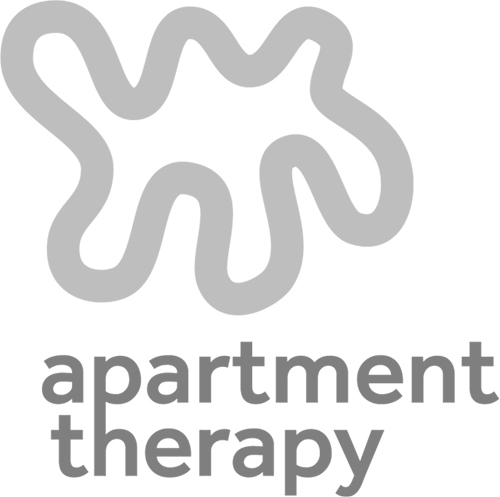 Got any clever uses for low-tack paper? Please share!